After numerous connecting flights and layovers, we are finally here. As we arrived at the airport, there was a sign that read “Welcome to the Land of a Thousand Hills.” Despite only being in Rwanda for three days thus far, I fell in love the moment I saw those verdant, rolling hills rise up beneath the wings of the plane as we descended toward Kigali airport. We have come together for the soul purpose to learn about the way of life, history, and culture of the beautiful people of Rwanda. 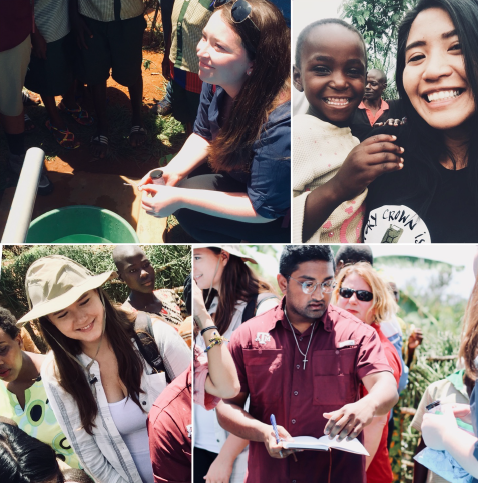 In order to better serve this beautiful country, we headed out to learn about the darkest part of Rwanda’s history. 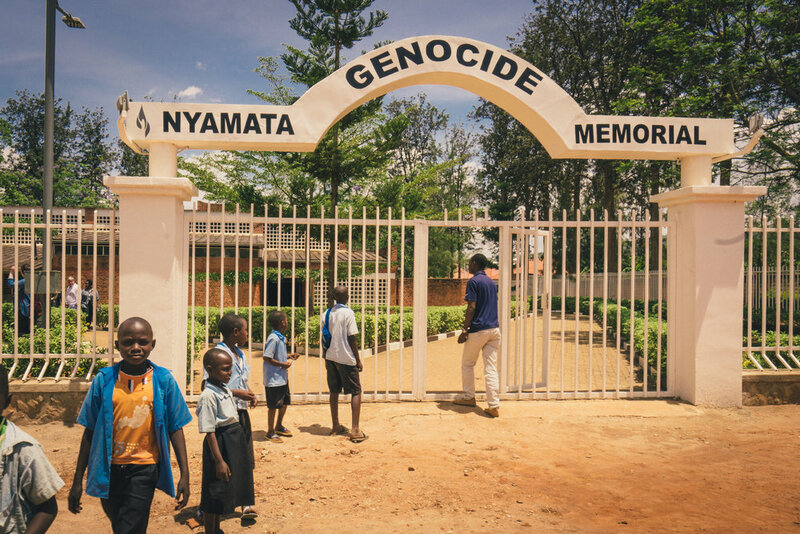 The Nyamata Genocide Memorial is situated in the Bugesera region. Nyamata and the surrounding region suffered some of the most extensive devastation in 1994, a result of targeted attacks during the genocide against the Tutsis by the Hutus. The historical importance and extreme devastation on the Bugesera region is why Zam Zam chooses to implement wells in this area. Prefaced early on that it would be emotionally taxing, it proved to be that and so much more. When the Genocide began in April of 1994, many residents of the region gathered and sought protection at the local Catholic Church. The church was thought of as a place of refuge and of sanctuary where the militia would not dare to attack. Unfortunately, this was not the case. Approximately 10,000 civilians were killed in and around the church compound on April 10, 1994. As the marauding killers approached, people gathered in the church and padlocked the iron door that safeguarded the entrance. Immediately, I was overcome with emotion stepping into the church. Growing up I always had an affinity for the stars and upon looking up inside it looked as though hundreds of constellations had been laid out. Suddenly reality hit that the ceiling was actually riddled with bullet holes, meant to target all the women and children inside. Clothing and belongings of the victims remained thrown about, including the original alter cloth, stained in blood. I thought of all the young children in my own family as I saw tiny shirts and shoes amidst the chaos of things. Where would we have gone to hide? After stepping back outside that’s when I noticed a children’s school next door. In melodic fashion children could be heard laughing and playing in the courtyard. Curious and bright-eyed they took interest to our cameras and dealt out high-fives. 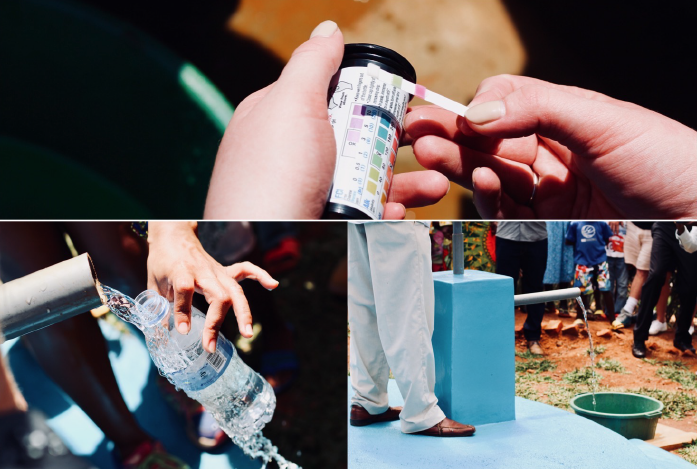 It was as if it was a reminder that though the people of Rwanda have been through such an unimaginable tragedy they remain resilient, hopeful, and determined to create a better future. Our next stop was a family farm in Bugesera. We were greeted by a gentle old man who proudly showed us his crops. His hands were calloused and bruised but his eyes were beaming with joy. Placed on a table were a colorful arrangement of seeds and crops used in traditional Rwandan cuisine. The emphasis on sustainable agriculture was evident, and the grounds of his home were enveloped in vast lush greenery. I was reminded of my hometown of Portland, Oregon and in that very moment though I was a world away, I have never felt so at home. That same day we stopped by the millennium village project. Within seconds of getting off of the bus I was invited to take a seat by a women wearing a vibrant blue dress. Without uttering a single word, she taught me a weaving technique and handed it off to me. The women were all producing baskets – these survivors of the Rwandan Genocide are transforming a society torn apart by gruesome ethnic violence through the dignity of work, opportunity, and economic empowerment. Each basket I purchased had a name on it, and upon checkout they made sure to make note of each women. In just one day it was clear to me how the country supports its women. Our translator for the day Obed mentioned “women are the heart of the home, and we must support them because they teach our children.” I have always worked with women and children’s rights and health promotion throughout my young professional career. To hear repeatedly from the citizens of Rwanda that women are championed and equally apart of the fabric of their society makes me hopeful for other countries alike. 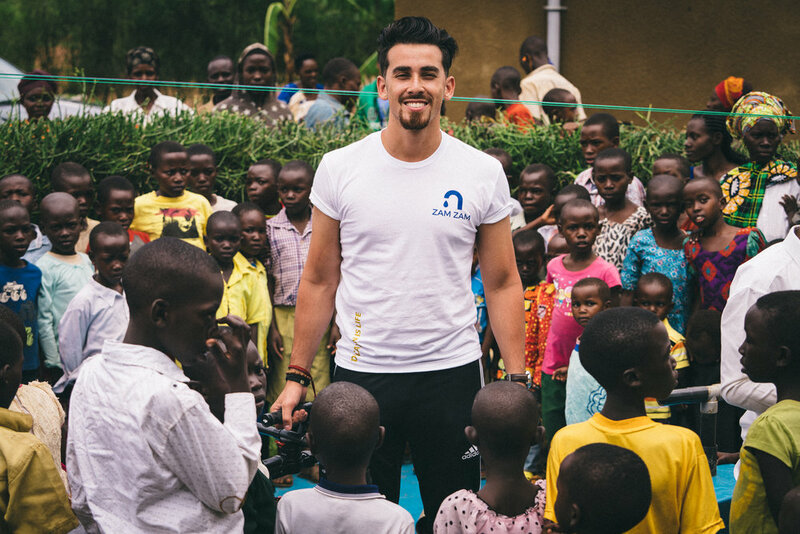 Our last stop of the day was a small village on the outskirts of Bugesera. The design of this village is one in which promotes community and reconciliation after the genocide. The perpetrator and survivor live in close quarters, forcing them to see each other everyday. The perpetrator asks for forgiveness, and once granted the healing process begins. The strength of the people of Rwanda is unlike any other place I have ever visited or read about. How could you live next door to someone who tried to kill your family? How could you actually feel forgiveness? In all my travels, I've never seen a country's population more determined to forgive, build and succeed than in Rwanda. Reminder to self: Embrace life, strive for inner change, and always forgive. Salaam Zam Zam family and friends, peace and blessings upon you. 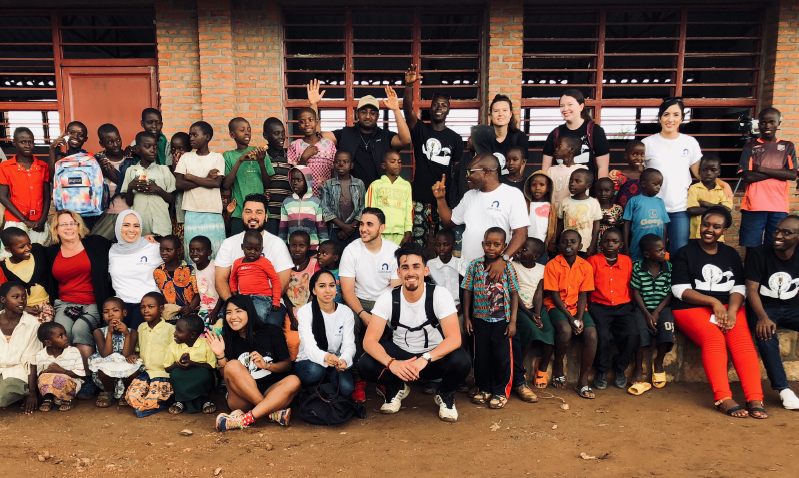 As eight of us: Yusuf, Zarina, Wais, Deeba, Omar, Zareena, Mashall, and I began our trip together to Rwanda- our sole purpose is to share our spiritual journey with you in regards to the accomplishments as well as ongoing projects we have attained with your support. The combination of four tiring flights expanding over 36 hours and changing logistics, my heart began to race with each passing flight. I held in hand my final boarding pass for our connecting flight to Kigali, Rwanda. My mind-raced back to my very first contribution to Zam Zam two years back to this very village. Circumstances were far different, as my initial involvement was solely for my brother's well-being as he was critically battling cancer. Now, fast forward I was in Africa and hours away from meeting the people who prayed with my family and i at my darkest. I have made a personal commitment to the people of Rwanda as they continue to bring peace of mind and peace of heart to our lives. Now, stepping off the plane, we were welcomed by our Rwandan family with warm hugs and immense hospitality. I was at a loss of words and fought back tears. I hope our team regains everything they expect on this trip and may the selfness of our committed supporters continue to be accepted InshAllah. 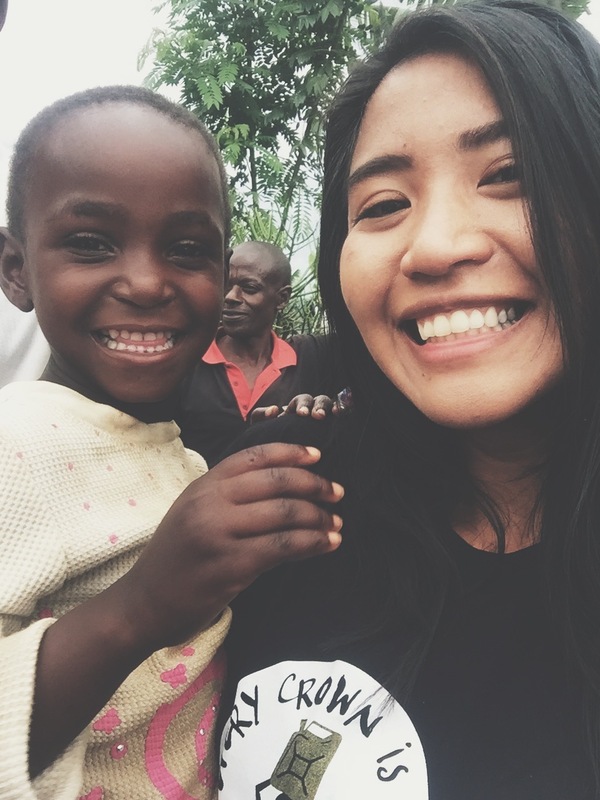 May we continue to lose ourselves in the servitude of our villagers here. May we be the firm voice of the voiceless.